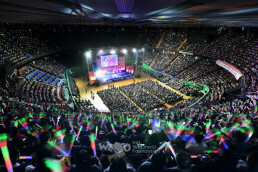 Being overwhelmed, the vocalist Yun Tae-gyu greeted the 10,000 member audience who even filled the passage ways. He cancelled his other schedules to perform at this concert, and most of the other vocalists also participated in the concert held by IWF, volunteering their talents throughout the years. “I am so happy to help people with my song,” said Lee Seung-hun. “The love I receive here is the energy for me to live through the year,” said Baek Mi-hyeon. “Whenever I join this concert, I feel the love in my heart getting bigger and bigger,” said Sunflower. All the vocalists offered passionate performances to the audience with voices full of emotion. 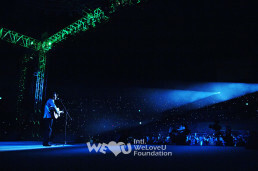 On November 9, 2008, IWF held the 9th New Life Concert to help children suffering from disease and poverty at the Jamsil Student Gymnasium in Seoul. It was sponsored by the Ministry for Health, Welfare and Family Affairs, Seoul City, Korea Youth Service Center, and Sejong General Hospital. 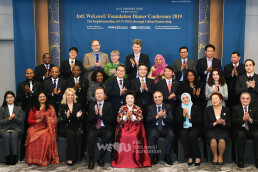 Many celebrities attended the concert with over 10,000 IWF members: Zahng Gil-jah the IWF Chairwoman, Lee Gang-min the IWF Chief Director, Lee Sun-jae the IWF Sponsor Chairman, Kim Gu-seob the Head of Korea Institute for Defense Analyses, Lee Bae-geun the Chief Director of Korea Youth Service Center, Lydie Bertrand the French Embassy Information Officer, Harry A.C. van Woerden the Head of Netherlands Foreign Investment Agency in Korea, including the IWF PR ambassadors Kim Ji-yu (actress), Lee Seung-hun (vocalist), Kim Bo-seong (actor), and Han Wang-young (climber). Lee Bae-geun, Chief Director of Korea Youth Service Center, emphasized a mother’s love, saying, “Feeding the starved and curing the sick, regardless of social class, wealth and poverty, race, and background, is a mother’s love.” He also praised the IWF members who were sowing the seeds of a mother’s love throughout the world which is the most beautiful and everlasting thing in the entire world, and he blessed that the seeds might sprout and bear beautiful fruit abundantly. Lydie Bertrand, French Embassy Information Officer, read the congratulatory letter of Ambassador Philippe Thiebaud who was in sympathy with the IWF’s sharing love and wished the indefinite development of the IWF. 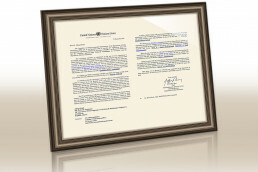 Harry A.C. van Woerden, Head of Netherlands Foreign Investment Agency in Korea, repeatedly said, “I’m so happy. I love you.” He hoped that this helping hand would reach all the children of the world. 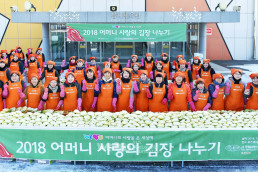 After a congratulatory addresses by celebrities, donations and heartfelt gifts were delivered to 34 people in need: children suffering form heart disease, Leukemia and rare disease, multicultural families in need, children living with grandparent(s), children living with a single parent, and senior vocalists Myeong Guk-hwan and Keum Sa-hyang as well. The IWF members cheered them on with a big round of applause. After the donation delivery ceremony, the concert started. New Life Children’s Choir, vocalists Yun Tae-gyu, Baek Mi-hyeon, Lee Seung-hun, Kim Gyu-min, Kim Je-hun, Kim Bo-seong, Eom Tae-gyeong, Rock Band Aktung and Duet Sunflower delivered the message of love, singing songs about love. As special guests, some foreign children from the Seoul Foreign School performed songs and a hula dance. The audiences cheered the performers, clapping and waving their hands along with their cellular phones. Along the wave of twinkling lights, the benefactors and beneficiaries became one with love. As the concert ended, a smile bloomed on the faces of Gyeong-ryun’s mother who had been living a harsh life physically and mentally as a Korean Chinese, and Jong-won’s mother who had been heartbroken over her son who was suffering from Leukemia. Throughout the concert all the participants were full of happy smiles, and our neighbors who had suffered were now talking about hope and gratitude, leaving all the painful memories behind. Singing the songs together, “In Love” and “If We Are All Angels,” the angels giving love and the little angels receiving love made the cold world that much warmer.